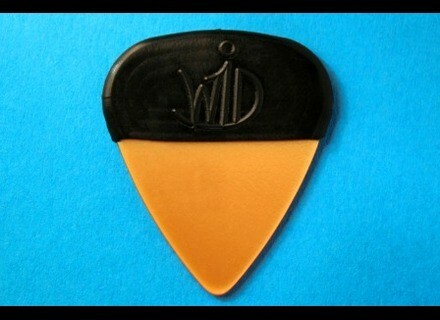 The Pick Bag, Guitar Pick/Plectrum from WID. Christopher Widmoser, guitarist of the German Barbara Dennerlein Band, created the "Pick Bag", designed to prevent your hand's sweat from making the pick slippery. 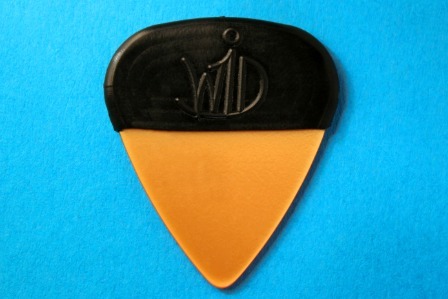 Just slip the rubber piece on your pick and play. Visit www.thepickbag.com to see what models are available. V-Picks V-Slide Husky V-Picks has released a slide described as "unique in its design and feel", the new V-Slide Husky, a 1/4" thick and 2 1/2" long slide.